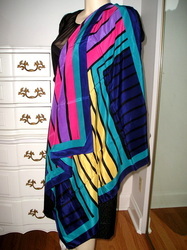 AN ABSOLUTELY STUNNING, HIGHLY COLLECTIBLE LARGE SCARF, ONE OF A KIND, HAND PAINTED ART SCARF, SIGNED BY THE ARTIST! READY TO FRAME OR WEAR! 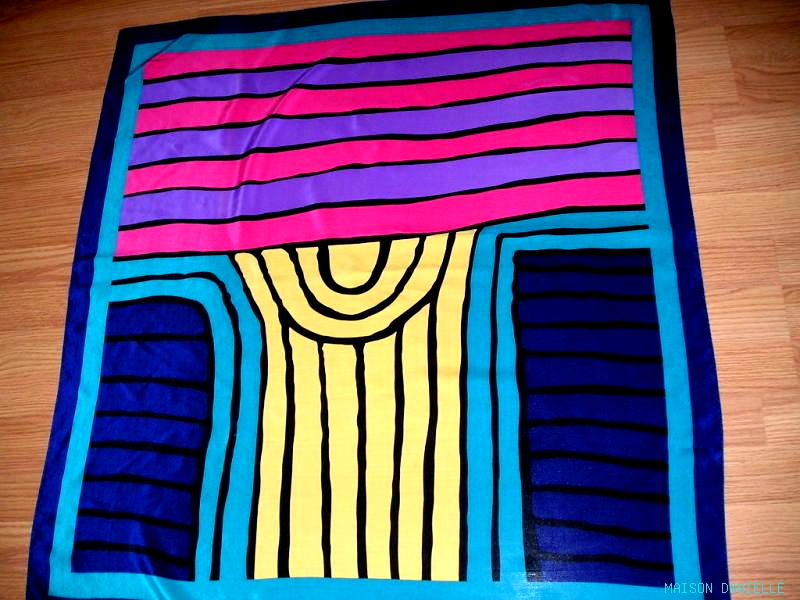 This is not your average silk scarf in the latest "striped" pattern but a rare collectible entitled The Tree of Life, created by the world renowned aboriginal painter Jimmy Pike. Jimmy Pike (1940-2002) is one of Australia’s most famous Aboriginal artists. He is represented in the collections of all the major Australian and International public galleries and museums,his art becoming more and more sought after and valuable, selling for very high prices. With the artist gone, his creations are becoming a valuable possession to be treasured. . Jimmy Pike lived in a bush camp on the edge of the remote Great Sandy Desert of north Western Australia where he painted, producing incredibly spiritual art in silk screened and printed fabrics form. Born in 1940, in the remote sandhill country, Jimmy was a member of the Walmajarri people, the last nomadic tribe of aboriginal people to leave the desert. He works in the open, resting his paintings on a rough work table he made from old planks, close to nature and natural forms. Jimmy Pike’s paintings of the physical and spiritual quality of his traditional Walmajarri country have added a new dynamism to the central positions of landscape in Australian art. They project a new dimension to our understanding of the connections between place, space and identity. Jimmy Pike's art has that unmistakeable universality which is appealing to all art lovers. 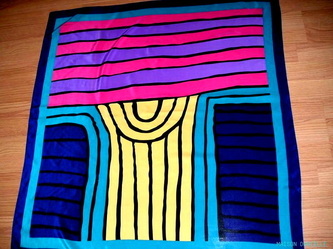 This extra large scarf is one example of his love of life, a profoundly moving abstract representation of the Tree of Life, rising to the celestial firmament to support the sky. 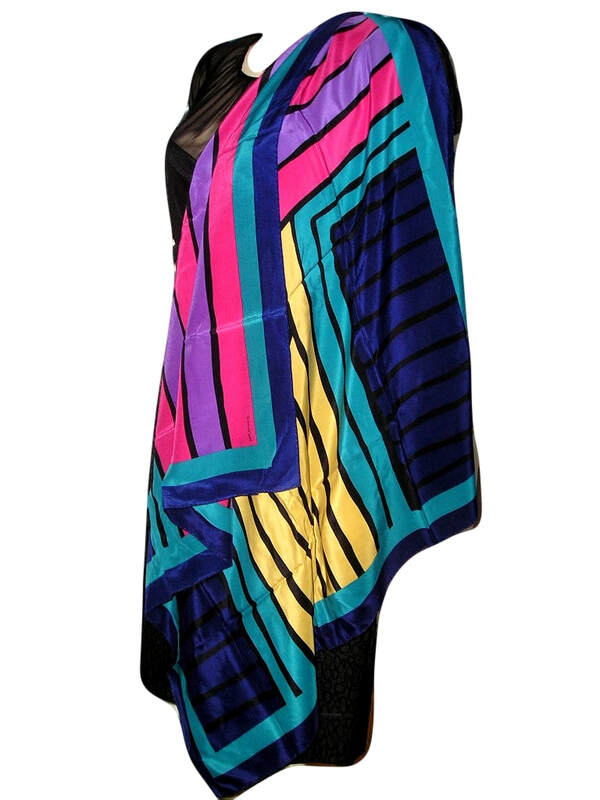 The interplay of vertical and horizontal stripes in vivid colors of yellow, deep pink and turquoise blues on a deep blue background which is almost lost in the design, emulate the colors of the desert sand and of the sky. 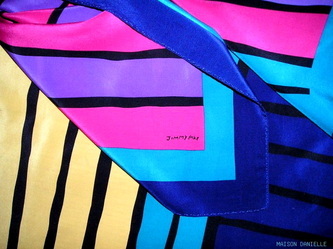 This scarf is poetry in motion. I have not seen a second yet on the market, or another scarf for that matter. 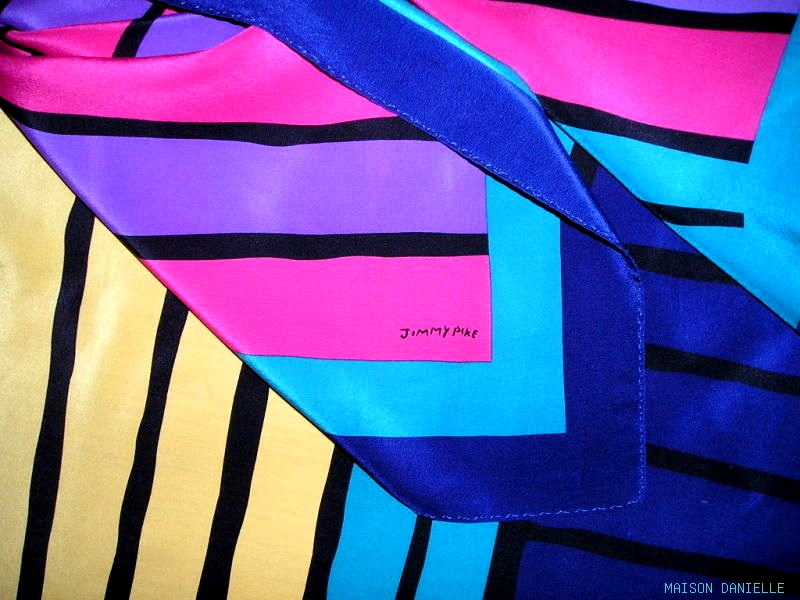 *JIMMY PIKE* Aboriginal Australian Artist, signature in the design. CONDITION: IMPECCABLE! no faults whatsoever, ready to be worn or framed.